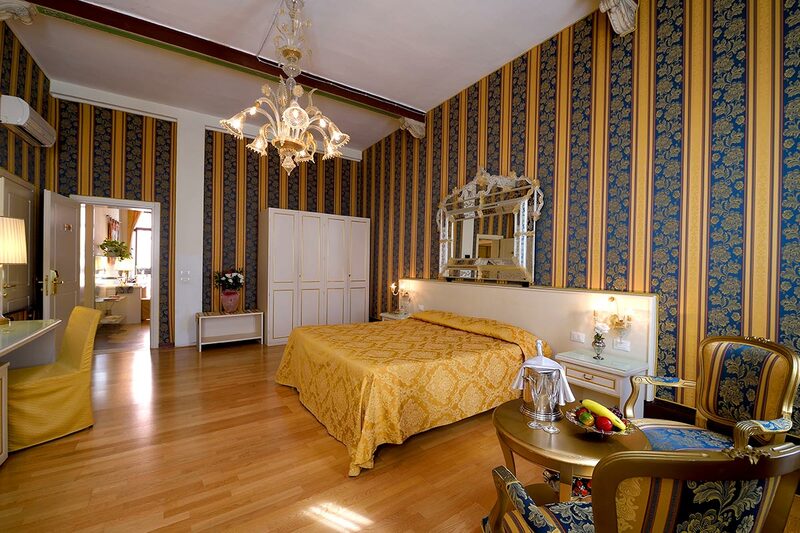 The spectacular view the guests can enjoy on the Osmarin canal and the church and bridge of Greci gives the name to this Junior suite. 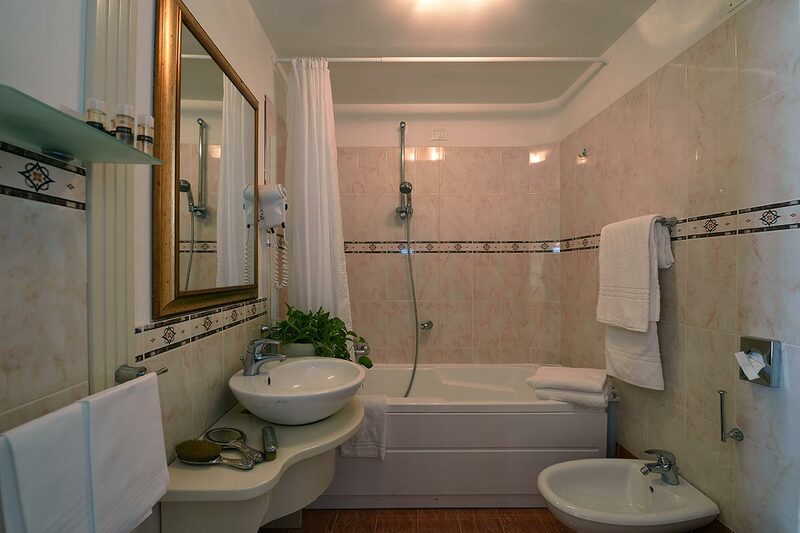 Inside maximum three persons can be accommodated. 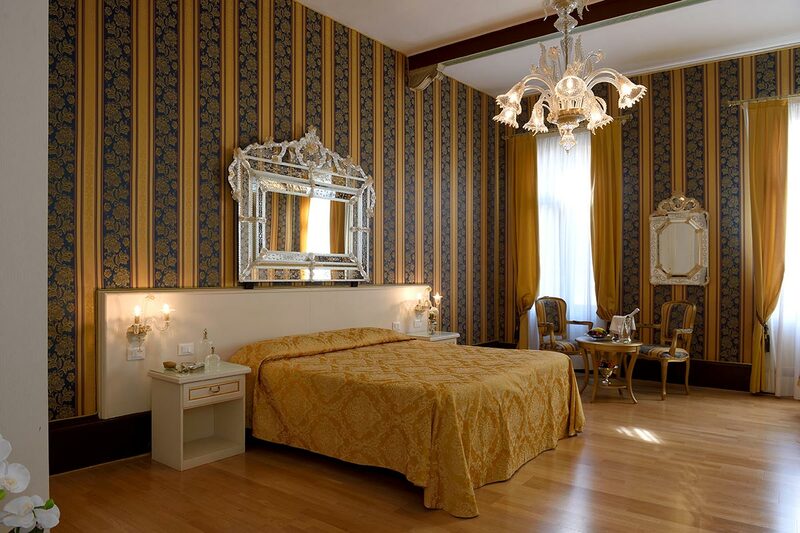 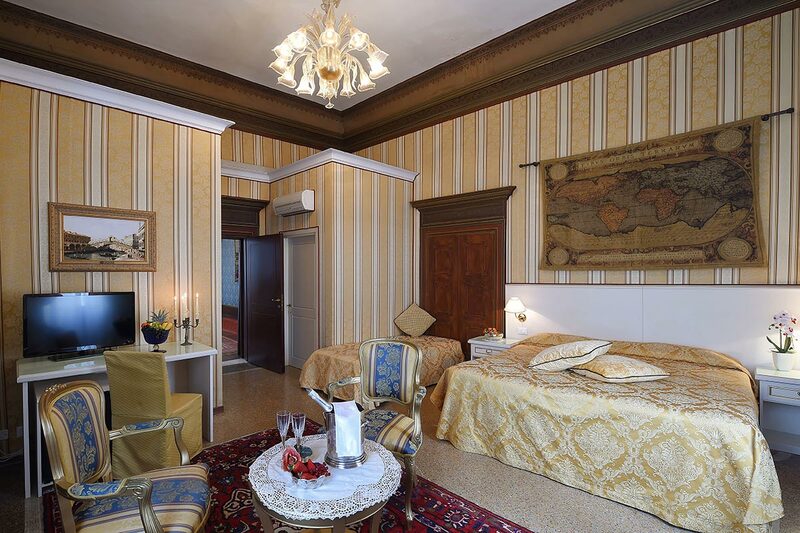 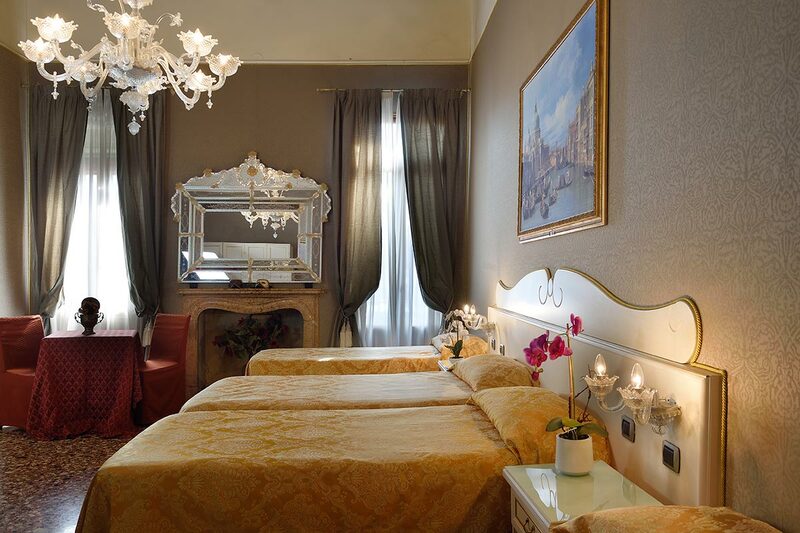 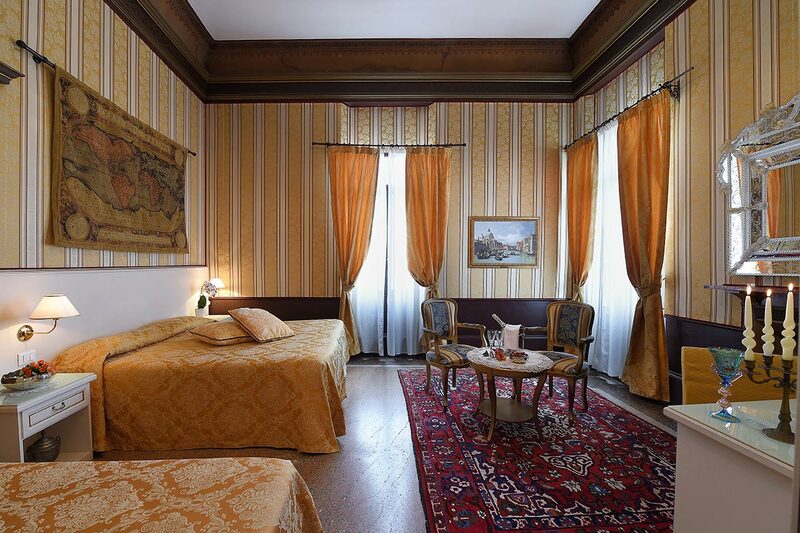 It is furnished in the typical Venetian style keeping the original Venetian flooring and is decorated with damask fabric on the walls, mirrors and chandeliers of Murano.